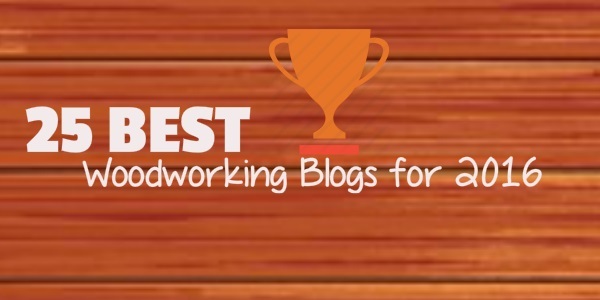 The other day the folks at Drum Sander Specialists posted their “25 Best Woodworking Blogs for 2016” listing. There’s some mighty fine blogs listed there, and right smack in the middle is Matt’s Basement Workshop. A huge thanks to the staff for including me! Take a moment and checkout the list by clicking here to see if there’s some new ones on there you’ll enjoy following. It’s like being on the Dean’s List for Forestry! This is Naveen from DSP. Your blog totally deserves to be in the top 25 list and why not? After all, there is so much of gold here and you have a heart for sharing that information to all! Wow, congratulations – you earned it! It would be a dream come true to all woodworking and blogging enthusiasts to see our names included in the list, too. It’s well deserved Matt, keep up the good work and you’ll make it this year again!